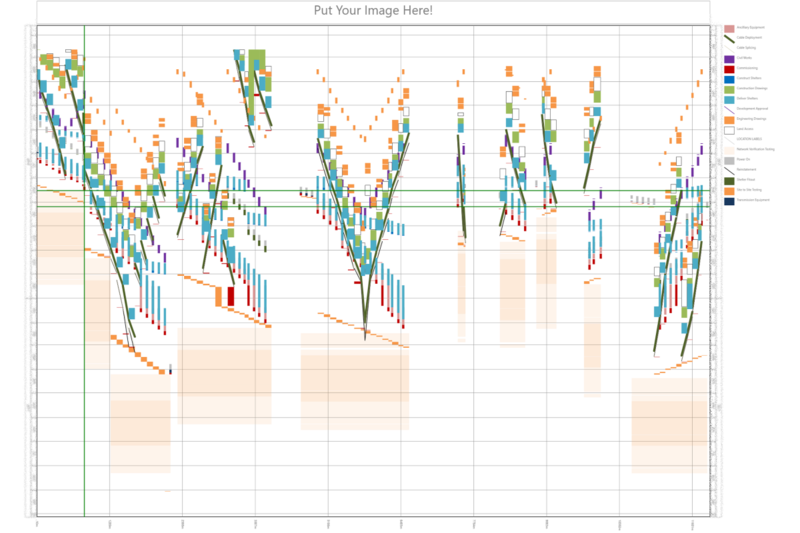 Connect Areas on the map with the schedule and let Phase Manager generate phase maps and situation plans, even videos. easy and fast with TurboChart. 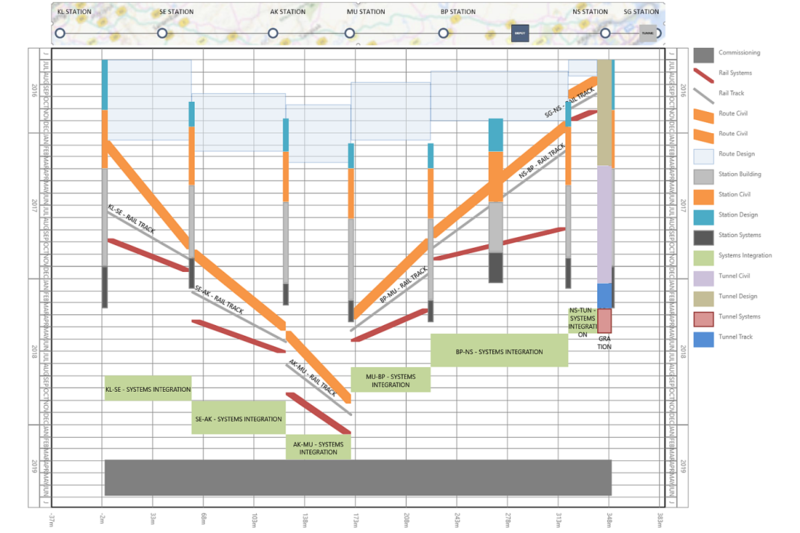 Dynamic Phase maps and situation plans for Infrastructure projects – linked with the schedule. Phase manager is easy to use, it allows to quickly update your phase maps when changes occur. There is no need to redraw everything. The output produced is of high quality – without the user needs to have special knowledge of CAD systems or graphics programs. The phases are linked to the schedule. This means that the data is precisely assigned in the phases. There are no more errors due to manual translation of the timetable into the construction phase plan. 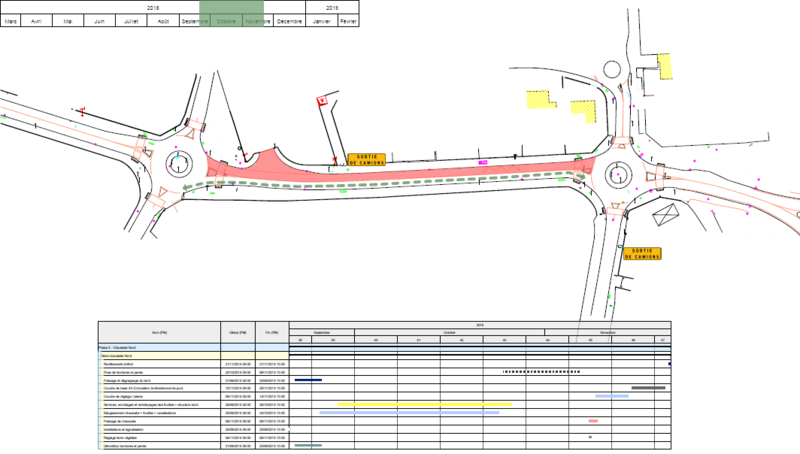 Phase Manager creates very professional output on a 2D plan that everyone understands and that is available in every project. 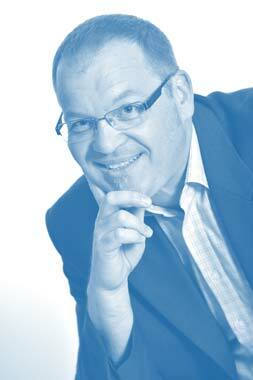 This allows to easily communicate the phases and situations of the project to all involved stakeholders. 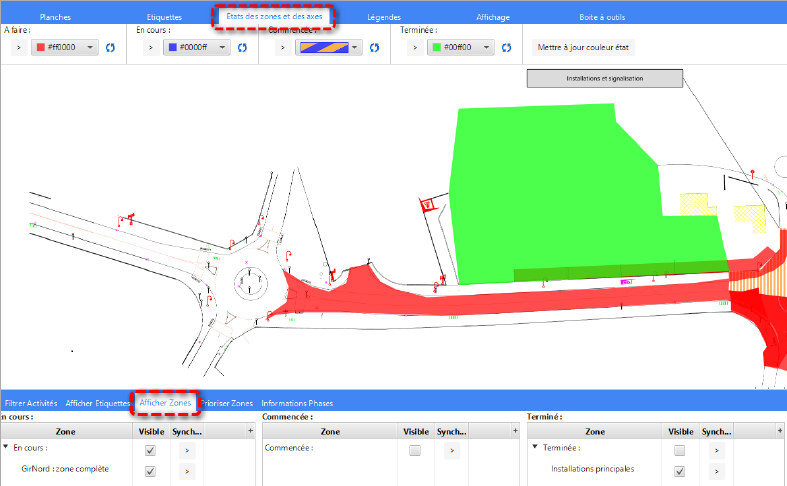 Especialy created fro Linear projects and wide spread cosntruction sites. Phase Manager allows you to follow the linear work to see exactly where you are working on the job site. An ideal solution for railway construction, road construction earthworks and other projects with geographic expansion. 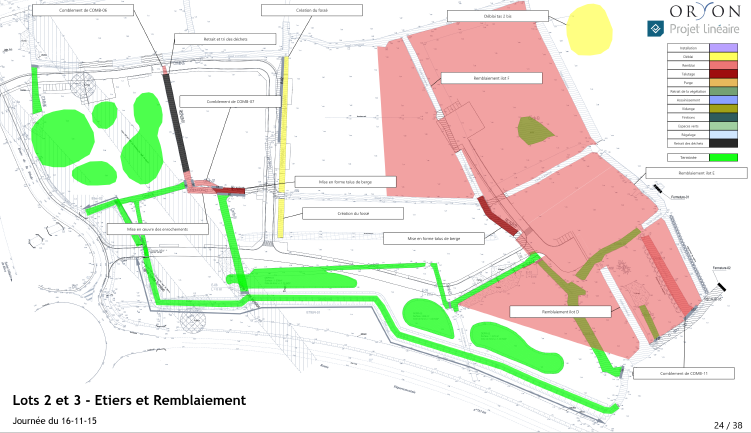 The employees of the manufacturer Projet Linéaire have been specializing for many years in the planning and coordination of infrastructure construction sites. Phase Manager has been and is being developed in collaboration with users. The requirements of the target group thus end up in the product. Also in the future. Phasemanager emerged from the realization that there is often no direct connection between the scheduling on the one hand and the presentation of construction phases and activities on the site plan on the other hand. 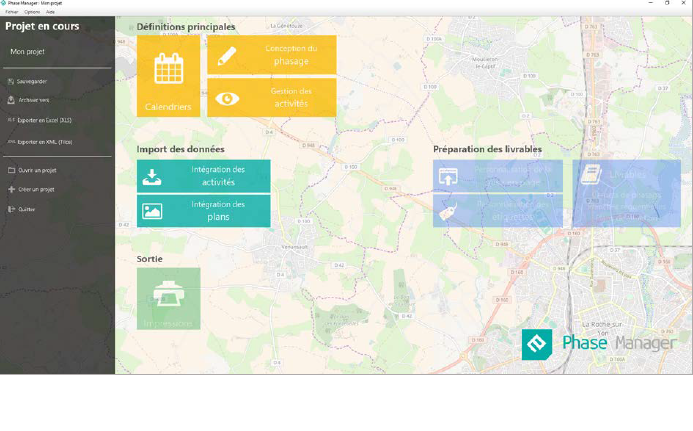 Nevertheless, construction phase maps are an essential communication medium in all phases of a project and essential for the presentation of the schedule or the actual state of work. With Phase Manager there is now a system available that comes from practice. 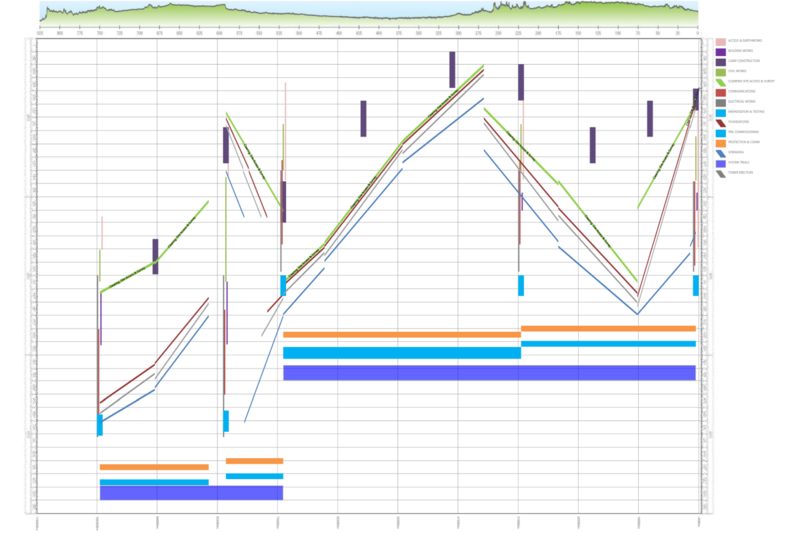 The Scheduler can create phase maps even without deeper knowledge of a CAD system. No elaborate 3D modeling is needed, but the basis is the existing 2D plan and scheduling data. 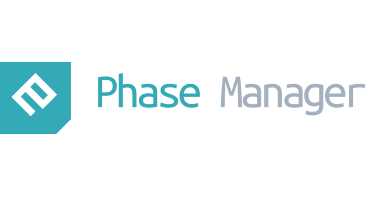 We would like to introduce you to Phase Manager. Please contact us. Create Tile-Location-Charts fast and easy from your existing schedule. Learn TurboChart in hours instead of tediously working for days on sophisticated planning systems. Generate Time-Location-Diagrams in minutes and update them in seconds. By focusing on the essential rather than focusing on complexity also a complex user interface was avoided. 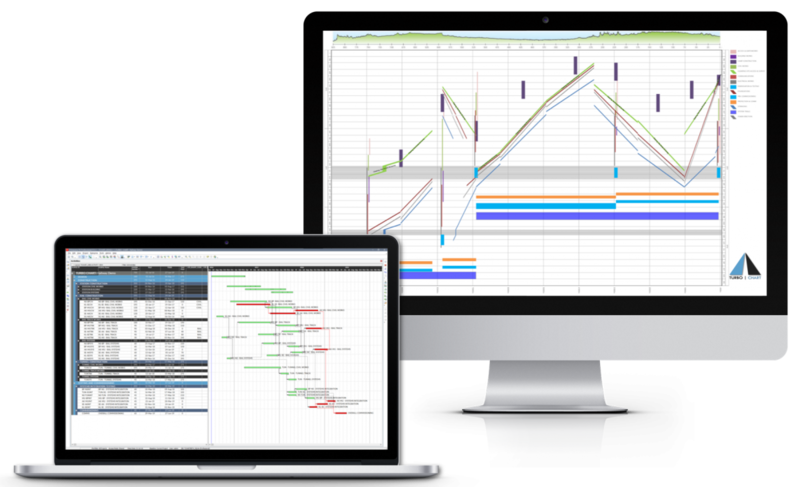 TurboChart helps you with your job with ease: It generates Linear Schedules (Time-Location-diagrams) from your existing Gantt chart schedule. Continue to work on your schedule with your preferred planning system. You do not need to learn another scheduling program. Primavera P6 and Microsoft project files can be read directly. Schedules from other systems can be imported via spreadsheets. 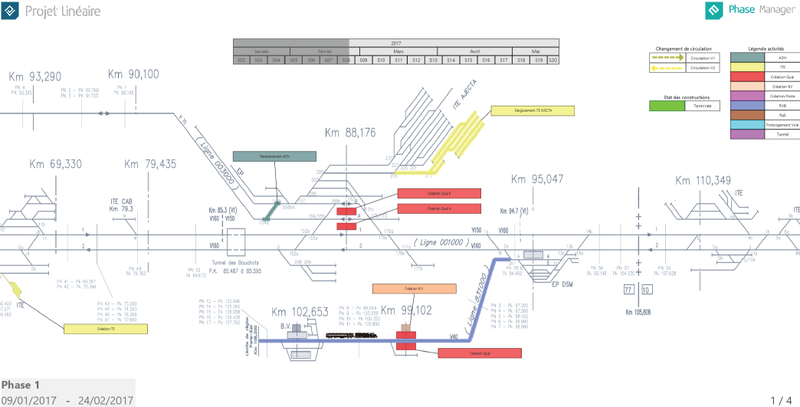 TurboChart was designed exclusively for the generation of Time-Location-Diagrams from existing schedules. Do not pay for features you do not need or use. Use your existing schedule and just add location and display coding. Import schedule data in seconds directly from Oracle Primavera P6, XER files, MS project files or spreadsheet. Use shape libraries, filters and chart options to create custom Time Location charts that can be saved and exchanged in a custom file. Present multiple schedule’s data, filtered task sets and pre-configured layouts as your project schedule continues to develop and progress. TurboChart is an easy-to-use tool that allows you to quickly generate Time-Location-Charts from existing schedules. In the interest of simplicity, it does not come with an own scheduling engine. You can continue to schedule in the system that works best for you. Instead, TurboChart focuses on the rapid representation of the schedule in the Time-Location-Chart. Learn the program within a few hours and generate and update Time-Location-Charts from your project planning within minutes. You may download a 14-days-Trial-version. If you have any questions, please contact us.